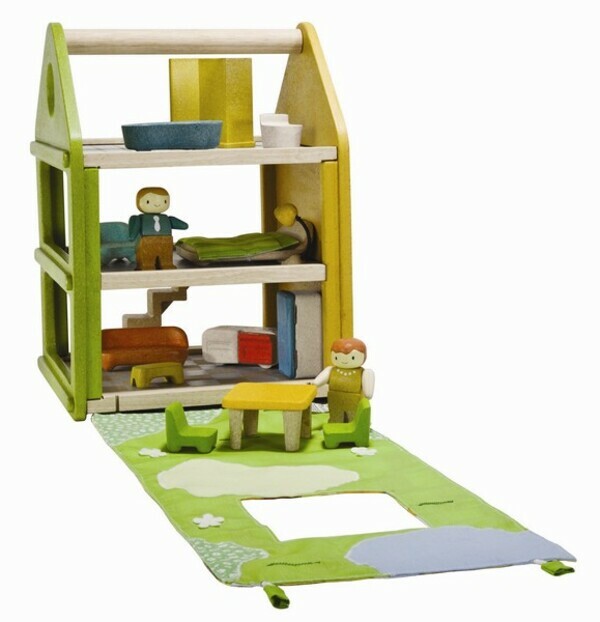 This wooden dollhouse comes with furniture and two dolls for various imaginative play. The two-sided play mat serves as a wall, roof, or garden. Lay the play mat flat for extended play! From 3 years old.